Pirates have become something of a modern phenomenon. They have inspired a sort of subculture dedicated entirely to a romanticized vision of pirates that, while sometimes inaccurate, still serves to continually advance the popularity of pirates. 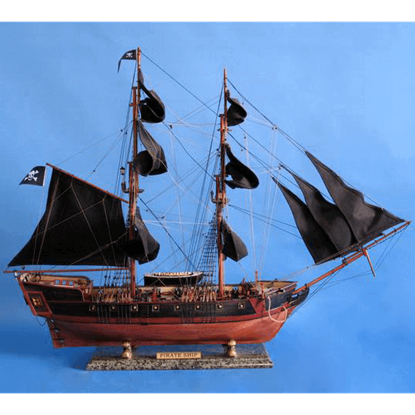 And for all of you pirate-lovers who find yourself wanting a pirate ship, we are glad to carry an intriguing and highly detailed line of model pirate ships. Each of our model pirate ships are handcrafted from quality materials, and many of them feature as much detailing as can be packed into a model of its size. Even more impressive is that many of our model pirate ships are designed as accurately as possible after several of the ships that sailed under well-known captains during the Golden Age of Piracy. We feature model pirate ships that are based on the ships captained by famous individuals such as Black Bart, Calico Jack, and Henry Avery. We also feature a number of unnamed model pirate ships that are accurate depictions of what ships pirates would have favored. 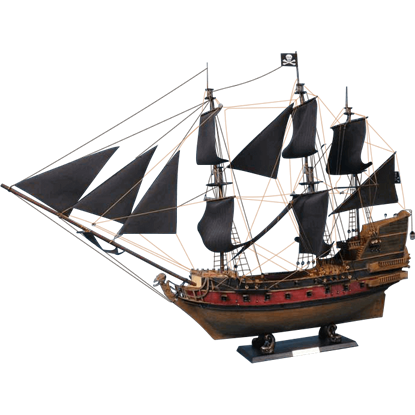 Grab one of our model pirate ships today. They are great collectibles, fantastic display items, and, most importantly, a decent excuse to start calling yourself captain! 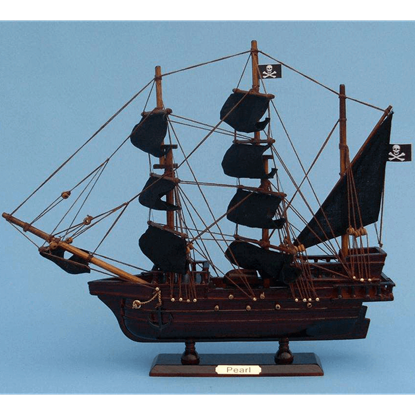 This Black Caribbean Pirate Ship model replicates the design of a pirate brigantine. This fast and easy-to-maneuver ship featured twice the cargo space of a sloop, making it a ship that was favored by Caribbean pirates. 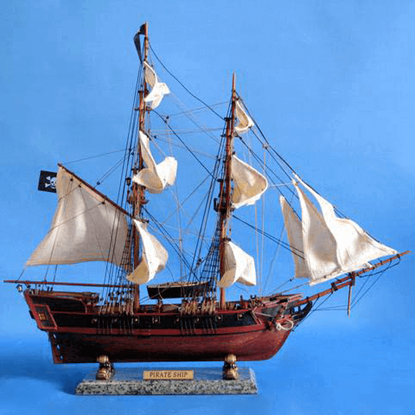 This White Caribbean Pirate Ship model replicates the design of a pirate brigantine. This fast and easy-to-maneuver ship featured twice the cargo space of a sloop, making it a ship that was favored by Caribbean pirates. 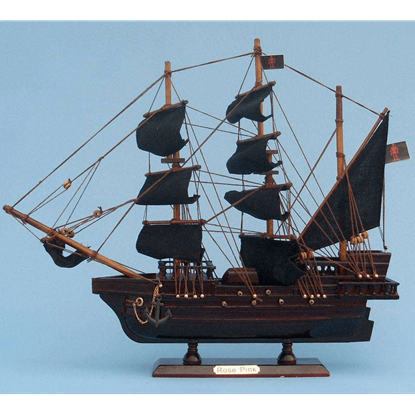 This Black Caribbean Pirate Ship model replicates the design of a pirate brigantine. This fast and easy-to-maneuver ship featured twice the cargo space of a sloop, making it a type of ship favored by Caribbean pirates. Inspired by the infamous ship, Black Barts Royal Fortune Model Ship is a replica of the flagship sailed by the pirate Bartholomew Roberts, known more often as Black Bart. This model makes a fine piece of decor for your home or office. 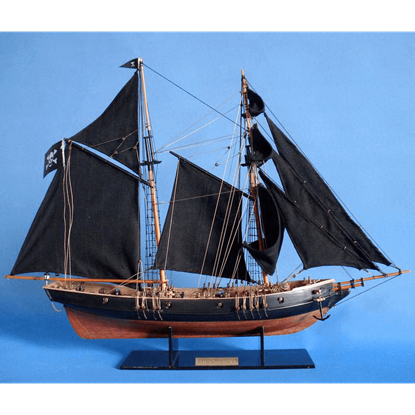 The Black Prince is a highly accurate and detailed scale model yacht designed for the discriminating sailboat or tall ship enthusiast. This museum quality model ship is a replica topsail schooner commissioned by Benjamin Franklin. Few pirates are as well-known as Edward Teach, also known simply as Blackbeard. 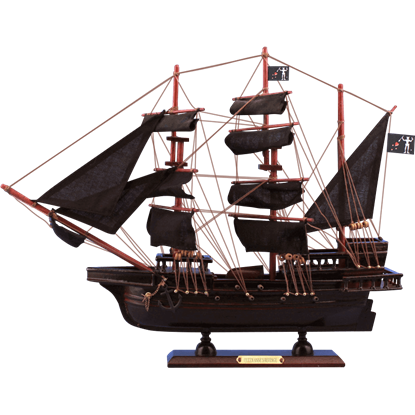 His ship remains infamous to this day, making the Blackbeards Queen Annes Revenge Model Ship a great piece of history to display in your home. Almost anyone today can recognize the Jolly Roger flag made famous by Calico Jack. This pirate, born John Rackham, is relatively noteworthy in pirate history and commemorated with the Calico Jacks The William Model Ship. 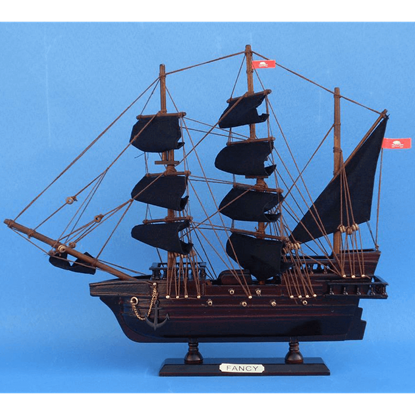 Based on the ship of the notorious privateer-turned-pirate, William Kidd, the Captain Kidds Adventure Galley Model Ship proudly depicts a vessel that Captain Kidd used during his lawfully-sanctioned actions against pirates. 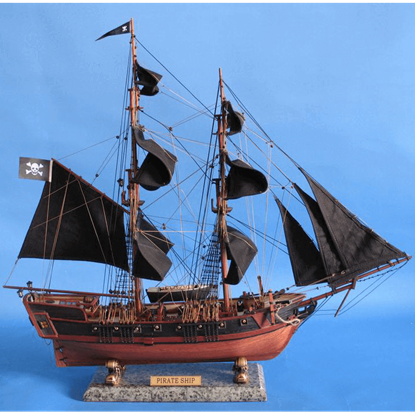 Depicting the purported ship of infamous pirate, William Kidd, the Captain Kidds Black Falcon Model Ship proudly shows the pirate vessel of one of the most infamous pirates of history or one of the most vilified privateers. Edward Low was a notorious English pirate during the latter days of the Golden Age of Piracy. Though Low captained a number of ships, the Ed Lows Rose Pink Pirate Ship Model depicts one of his more infamous flagships. The Englands Pearl Model Ship does not refer to the country, instead referencing the captain of the ship, a pirate by the name of Edward England. Born Edward Seegar, he engaged in piracy from 1717 to 1720 around Africa and India. Owned by perhaps the most successful pirate of the age, the Fancy was the ship of Henry Avery. This particular model ship, the Henry Averys The Fancy Model Ship, commemorates his successful career as a pirate.